Like a high-topped kugelhopf, this is quite a different style of cinnamon bun. Here’s introducing the Morning Bun. Such delicate flavour! 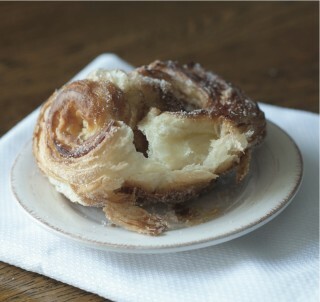 Wonderfully dredged in brown sugar and cinnamon, this flaky pastry tastes faintly of orange. Reminiscent of a Danish — the one you’ve wanted all your life. Coffee klatch, anyone? $2.50 each. 224 Dalhousie St., 613-562-9996; plus 12 other Ottawa locations, www.bridgehead.ca. This concludes our series of five sticky buns in five days. Happy sampling.